Police work puts high demands on officers' physical fitness which, in turn, is an important prerequisite for professional policing. Physical fitness comprises the following components: endurance, strength, speed and coordination. The ability to master these skills relies on a high level of physical performance. 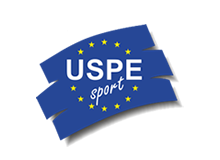 USPE awards a joint European Police Performance Badge (EPLA) for promoting the physical fitness of all police officers serving in the USPE member countries, furthering the European idea and developing a common "corporate identity" amongst European police forces. Being awarded the "EPLA“ badge implies that the respective police officer meets the physical requirements necessary for everyday policing in all age groups. USPE believes that the EPLA will encourage police officers to maintain their physical fitness throughout their career. The EPLA is a scientifically based instrument developed by the Sports University of Munich at the initiative of and in cooperation with USPE. The EPLA badge shall only be awarded to individuals who are represented within USPE by their respective member association. They have to be police officers or students at a public police academy. The police are a set of all bodies and institutions in charge of maintenance of public law and order (administrative police and criminal investigation departments). Military police, members of the military, members of fire brigades and civil servants that do not belong to the police are not entitled to obtain the EPLA badge. USPE member countries are not authorised to enlarge this group at will. The EPLA badge embraces 4 different categories that offer several disciplines/exercises each. One discipline/exercise per category is to be completed (at least in bronze) during one calendar year (01.01 - 31.12). Only one discipline per category may be completed. Each performance will be entered into a scorecard by authorised officials of the member countries. Repeated completion of the EPLA is only possible in consecutive calendar years (no more than 1 x per calendar year). The achievements attainable in the various categories and age groups are indicated in the enclosed table. The athlete starts from a standing position. For this purpose, oval running tracks are recommended, but the discipline may also be performend as a cross-country exercise. It must be guaranteed that there is no height difference between the start and the finish line. Race walking is permitted. The exercise must be completed in a swimming pool of a minimum length of 25m. The type of swimming stroke may be freely chosen and may be changed during the exercise. At the turn, some part of the swimmer's body must touch the wall. When starting, swimmers may dive off of a starting board, push off the wall or start inside the water. The use of personal floatation devices is prohibited. The standing long jump shall not include a running takeoff and is to be performed with both feet placed on the takeoff board/scratch line. Both feet must be positioned parallel with each other and level with the landing pit, i.e. there must be no difference in height between the takeoff board and the pit. The jumper may balance the jump forward and backward, while his/her heels/toes may leave the ground. However, prior to takeoff, no foot may completely leave the ground or slide on it. For establishing the exact length of the respective jump, the distance between the takeoff board/scratch line and the nearest imprint left by the jumper's body in the landing area shall be measured. The rules laid down in 4.1.2 shall apply. The apparel to be worn by the swimmer comprises a pair of ankle length trousers and a separate jacket with sleeves that must reach the swimmer's wrists. Neither the sleeves nor the trouser legs may be rolled up or attached by any other means. The jacket is to be worn buttoned-up by using the provided buttonholes. Starting blocks are not mandatory. When running without starting blocks, the athlete(s) should start from a stationary position. Only one false start per run is permitted. In the event of a second false start, the runner causing it shall be disqualified. The terrain must be flat (no descents/climbs). There will be a flying start with an acceleration phase of any length that will not count towards the score. Appropriate measures are to ensure that the time is properly recorded. Any bicycle not fitted with an auxiliary electric motor may be used for carrying out this exercise. The use of e-bikes is not permitted. Athletes are to wear bicycle helmets while performing the exercise. The exercise must not be performed on a bicycle ergometer. The jump shall be performed from a takeoff board. The length of the approach run may be chosen freely. Shooting will be performed with the service pistol issued in the respective country (9mm) from a distance of 25m to the target. This target shall be the "25 metre rapid fire pistol target" as defined and laid down in the ISSF Rules and Regulations. Four series of five shots are fired. Each series of shots must be fired within a period of 30 seconds after receiving the order to open fire. Rope skipping may be performed with a rope that is not fitted with a motor, and preferably, the rope should have grip handles to ensure smooth rotation. The number of jumps completed without interruption shall be counted. While jumping, the individual must swing the rope twice under his/her feet. Each landing after completion of a double under shall be counted towards the score. The jumper uses alternate feet (right foot, then left foot) to jump off the ground while staying in one place. The number of times the right foot touches the ground shall count towards the score. During every second jump and swing of the rope, the arms must cross in front of the body. With every jump, the rope must be swung under the athlete's feet. Each crossing of the arms shall count towards the score. The jumper jumps over the rope with two feet in the air at the same time. The rope is swung backward. Each swing shall count towards the score. The performance requirements to be met by each individual officer shall be subject to the age he or she reaches in the specific calendar year. The EPLA badge is awarded in gold, silver and bronze. Each individual category assigns points for specific accomplishments (gold 3 points, silver 2 points, bronze 1 point). Eventually, the overall score shall determine which type of EPLA badge is awarded. The USPE General Secretariat shall coordinate procedures. USPE will arrange the design of the uniform badge. The member countries shall be responsible for ensuring proper procedure and presentation as well as the procurement of the badges, scorecards and the certificates. The scorecard is drawn up in the three official USPE languages and downloadable at www.uspe.org/epla. Certificates will only be issued online at www.epla.uspe.org. They are generated upon entry of the required data in the members' area, whereupon they may be printed out. For this purpose, a user name and a login password are allocated to the competent persons in the member countries. The personal information collected there will be processed for the award of the EPLA and for statistical purposes in automated processes (data processing) of the USPE and its member countries. Each country may determine whether one discipline/exercise of a category shall be mandatory in the respective country. This is to be duly communicated. By virtue of the resolution adopted by the Congress in Dublin on 6 October 2012, the new EPLA Rules and Regulations shall enter into force on 1 January 2014, and replace the old ones.